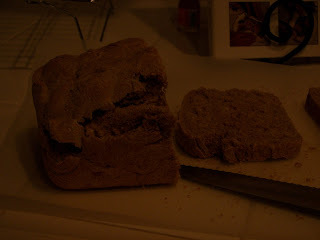 I know this picture is awful, but this homemade bread is delicious, and SO fast and easy. Dissolve yeast in warm water until bubbly. Add sugar and salt and stir to combine. Let rise for 1 hour, and then bake at 425 for 20 minutes.